The U.S. 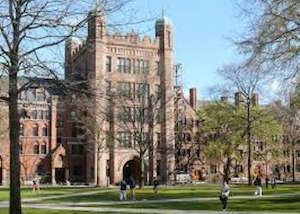 Departments of Education and Justice have begun investigating whether Yale University Admissions racially discriminate against Asian American student applicants. The investigation was announced in a letter released on Wednesday from the Department of Education’s Office for Civil Rights to the Asian American Coalition for Education, according to the Washington Post. The letter also disclosed that the DOJ first opened its investigation of Yale in April. Yale isn’t the only university or Ivy League university that has been under water for allegedly discriminating on the basis of skin color, national origin or racial stereotypes. Harvard University, Dartmouth University and Brown University have also had complaints made against them.